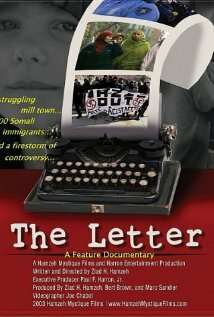 Come watch The Letter, today and this evening! Enhance your learning–come join the conversation! Have you ever wondered just why everyone gets a blissful week of vacation at the tail end of winter? As it would turn out, Spring Break is a tradition that dates back thousands of years–back to the Greek and Roman eras! Back in the day, to chase away the blues of winter and welcome a warm and bountiful spring, the ancients chose to celebrate the god of wine, Dionysus (Greek) and Bacchus (Roman). Revelry was had as a way to encourage the coming buds to grow aplenty. However, this tradition didn’t actually become grounded in the United Stated until Colgate University’s Sam Ingram decided to bring his swim team to Florida in 1936 to keep them in shape through the winter months. Once word got out that Florida was a great place for college folks, well…the rest is history! So whether you’re making your way south for warmer waters or bundling up to fight off our never-ending New Hampshire snow storms, why not grab a book from the library before you go? We have a fantastic collection of enjoyable fiction just waiting to be checked out! The information provided was obtained through this Time Magazine article. So, you’ve used a few of the library databases. Maybe one, maybe six? Hopefully you’ve had a chance to utilize the wealth of information available in our databases–but have you ever tried an Integrated Search? The Integrated Search option is available under the Research Databases/Journals link–just click on that and scroll down to see it directly beneath Database Information. So, what does it do? Integrated Search allows you to search several databases AT ONCE! Depending on your topic, you can check the box for that subject, and all databases that specifically pertain to that subject will be searched for you. In fact, you can click Select All and search every database we have! This is very helpful when one database isn’t producing the articles you really need for your research. A word of caution! If you log in to your EBSCO account and begin saving articles to your folder, you might not see some articles that you saved. This is because they came from a non EBSCO database–but they are saved. When you’re in your folder, look to the left hand column, where you will see a link labeled Other Content Sources. And voila! Now you have everything you need to collect and utilize valid and reliable information for your research. What are you waiting for? Give the integrated search option a try! Purpose: During the last week of February and the month of March 2013, Rivier University will coordinate purposeful programming that will create opportunities for Rivier University to be enlightened about the experience of refugees, to be engaged by the New Hampshire refugee community, and to exchange ideas that facilitate relationships between both communities. March 12 at 6:30 p.m.
27 at 12:30 p.m. and 6:30 p.m.
How should I invest my 401k/403b/college savings plan? Should I buy a house or rent? Will mortgage rates increase or decrease and what does this mean for the choice of adjustable versus fixed rate mortgages? Should I put my savings into a bank certificate of deposit versus shooting for a higher return with riskier investments (if so, what maturity of CD should I choose)? There are endless tales of entertainers and athletes who have made many millions of dollars, only to go bankrupt. One can make a very good living, but if they lack financial literacy, it may be all for naught. It is easy to think that a financial advisor/mutual fund manager/real estate agent/mortgage banker can do all the work for you. But how does one tell whether these professionals are competent or incompetent? Furthermore, many of these professions are incentivized to make commissions or sales. For example, I’d be hard pressed to find a real estate agent who wouldn’t say it’s a great time to buy a home. Like so many things in life, we must be an advocate for ourselves. Some have suggested that our school systems should increase their focus on teaching financial literacy, which Investopedia defines as: “The possession of knowledge and understanding of financial matters”. While this seems a reasonable thing, what of those who have already graduated and wish to become more financially literate? Warren Buffett, one of the richest men in the world, described his average workday as a lot of reading. In that vein, the library has some wonderful resources to help our financial literacy. Buffett begins his days by reading two newspapers. Most do not have as much time for financial literacy as Buffett. So, time management becomes even more important for those with other jobs to hold down. The Wall Street Journal is not only a good resource for financial literacy but also a good newspaper, period. It is the only newspaper I regularly read and it is equivalent in quality to newspapers like The New York Times. The nice thing about the Wall Street Journal is its focus on financial matters. Reading the journal will tell us where the economy is headed. If we know where the economy is headed, that will give us insight into the direction of interest rates (something that really impacts the average American—see the questions at the top of this blog). Don’t be concerned if you don’t fully understand every line of the journal…few do. Greater understanding will come with time. Unlike many newspapers, the Journal charges for most of its online content. Fortunately, Regina Library subscribes to the hard copy of the Journal and we have an entire database devoted to it. Another fabulous database that Regina Library subscribes to is the Morningstar Investment Research Center. Pensions are disappearing rapidly from the workplace. In their place are self managed accounts like 401k’s and 403b’s. The Morningstar Investment Research Center is extremely helpful for those seeking to pick investments for these retirement accounts or college savings plans. Simply enter the ticker symbol or name of your mutual fund or stock and it will provide you with analyst reports describing pros and cons of the investment. Morningstar also does a great job in listing the alternatives to the fund/security you are considering within their analysis sections. For mutual funds, I like the ‘portfolio’ tab, as it lists the top holdings of mutual funds. Look through these listings as many contain companies that are familiar to us all. Ask yourself if what your fund is invested in makes sense to you? Finally, Regina Library has many timely books on finance and the economy. Read the books that interest you and this knowledge will help when you pick up the Wall Street Journal or look at the Morningstar Investment Research Center. As always, the Regina Library staff is happy to help with any questions regarding our resources. As our society progresses with each passing day, it’s astounding to think how far women have come. I was recently reading the YA series Boston Jane by Jennifer Holm (highly recommended! ), a story about a young woman who finds herself stranded on the far reaches of the American frontier in the mid 1800’s. In the book, her town eventually starts holding elections for office–and Boston Jane is very candid about how she is unable to vote for her favorite candidate. Consequently she was also unable to own land. Imagine that! These concepts now seem so unreal to today’s woman, especially in New Hampshire, where our legislative representation is entirely female! Still, as more and more women take on positions of leadership, bias and discrimination are not obstacles that have been completely removed. Many trailblazers have fought long and hard to achieve success in what was once known as a man’s world. So, as you complete your degree and prepare to take on a leadership role, take heart in the words of those who have already been there and lived to tell the tale! Check out one or all of the following to learn just what it takes to be a strong female leader in today’s marketplace–and keep up the good work, ladies! As we celebrate Black History Month this February, take a look at some films that might be of interest to you! This list was complied by the Office of Multicultural Affairs.